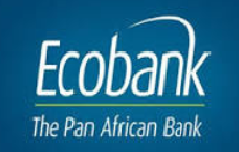 Do you need a code to buy Airtime, top-up, or to recharge your mobile phone directly from ECOBANK, SKY BANK or FCMB? Do you want to recharge your phone without stressing yourself looking for somewhere to buy physical recharge card? All the banks in Nigeria are gradually rolling out easy top-up code. So, you no longer have to stress yourself searching for airtime vendors or ATM machine to buy physical recharge card. a. Code should be dialled from the phone number that is tied or link to the bank account. b. These banks may require a sought of activation before you can begin to use the service even if your phone number is tied/linked to your bank account. You will receive an error message or one like this; YOU HAVE NOT BEEN PROVISIONED FOR THIS SERVICE. PLESAE CONTACT YOUR BANK FOR MORE INFORMATION if your phone number has not been activated to use the service. However, if you have previously receive a message from your bank telling you that you can use the service then you don’t need any sought of activation. i. YES! It is quick and convenient. ii. You can recharge from the comfort of your home, office, anywhere.